“A few weeks after you held the Intuitive Healing Retreat at our resort a staff member was effected by Bell’s palsy. Half his face was paralyzed so he went on two weeks of steroid treatments. I thought about getting him some healing crystals right away when I heard about it, but I didn’t because I thought he might think I was a weirdo. After the two weeks of treatment was done and his face was still paralyzed I decided I didn’t care if he thought I was a weirdo anymore so I went to a local shop to find him a crystal. 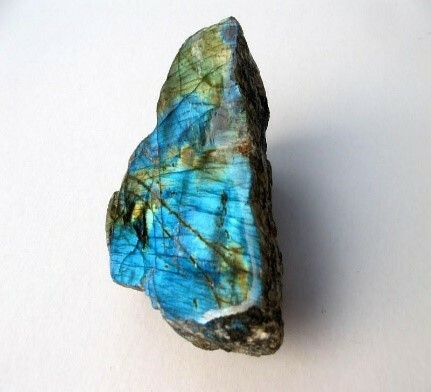 I looked for quite a while and I finally decided on a beautiful Labradorite Palm stone. That night I put the crystal under my pillow with my other crystals that I got from Marijke as well as my Selenite Star. That night I had the most amazing dream. I was walking on a dirt road in a village that had beautiful trees with long weeping branches. I remember looking up at the beautiful sight with a feeling of complete joy and awe at how beautiful it was and I told myself I had to remember this. I looked up in the trees and saw beautiful peacocks and they were singing to me. The next day I gift-wrapped the Labradorite stone while I was in my office and I felt it was missing something. I looked up and saw the beautiful macaw feather you gave me from the retreat and knew that it was meant for me to use on him for healing. (I forgot to tell you that the reason I had that one feather at the office was because it chose to be there. I had all four in a vase and turned around to talk to my co-worker and when I turned back around it was out of the vase and lying on my keyboard!) 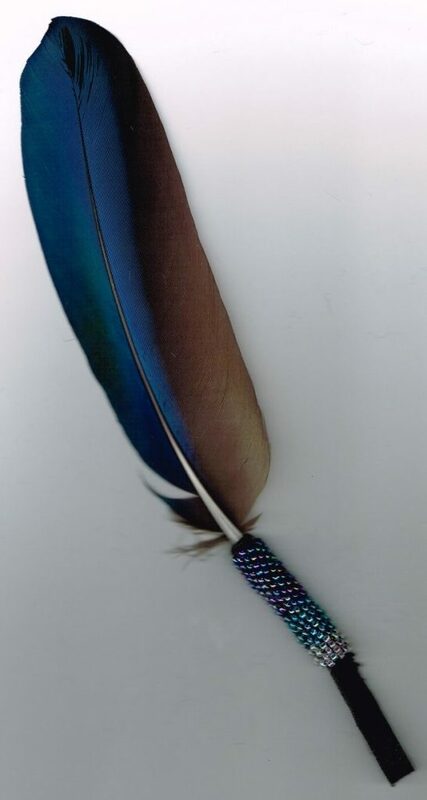 The beautiful colors of the feather match the colors in the stone too!! I gave the wrapped present to his spouse along with a print out of the crystals’ healing properties and told his spouse about the feathers and where they came from. I had three days off and when I came back to work I was welcomed with a big hug and an almost full smile from the staff member. He thanked me and said he could feel the difference! I could see the difference with my own eyes! Within the week he was completely healed!! If Marijke’s Healing Retreat had not come here I would not have had the tools or confidence to help him. 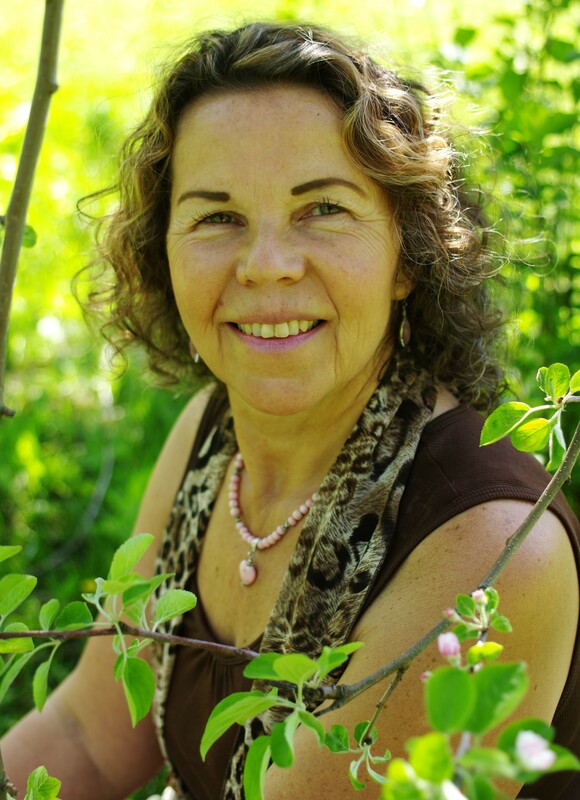 Marijke is an empath and gifted healer who has worked with people and animals around the world. It is her calling to help everyone – people and animals – deepen their connection to their Infinite Wisdom and Higher Selves.